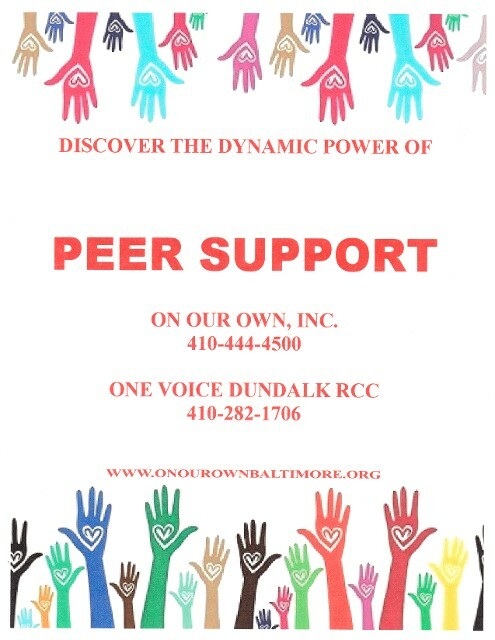 On Our Own, Inc. of Baltimore, Maryland, is your one-stop shop for a behavioral health peer support center of hope. Let us help you with advocacy resources during your time of need. 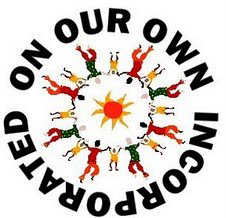 All of our centers offer mood disorder support groups and one-on-one peer counseling. Some of our centers offer dual diagnosis and schizo-affective support groups, 12 step meetings, women's support groups, wellness and recovery action planning, training, relapse prevention and trauma-informed care. Arts and crafts, nutrition and health workshops, bingo, music appreciation, current events discussions, holiday celebrations and computer training are also available. Please contact us for center program schedules. Contact us today in Baltimore, Maryland, for a mental health support center near you.